Galway's experienced campaigner Sinead Burke will be a key player in Galway's hopes of overcoming champions Dublin to advance to the division 1 semi-final. The Galway senior ladies footballers face a big test this Sunday when they take on Dublin in the Lidl National Football League division one semi-final in Kinnegad (3pm ). Dublin, the current TG4 All-Ireland senior champions, have a huge panel of players from which to select on any given weekend, and enter Sunday's fixture with just one loss in this season's campaign, and that was to Galway in round six by 1-15 to 1-17. Galway, like most other counties, do not have such an extensive panel, and in that context, team manager Stephen Glennon is delighted to have midfielder Caitriona Cormican back in full contact training and available for selection. Headford's Shauna Molloy is also coming back from a shoulder injury this week, and the return of both those players gives the management a stronger hand in selecting the starting 15 and also in bringing on impact subs when required. Like most teams now, Galway are keen to have four or five players who can come off the bench and add value going into the home stretch. 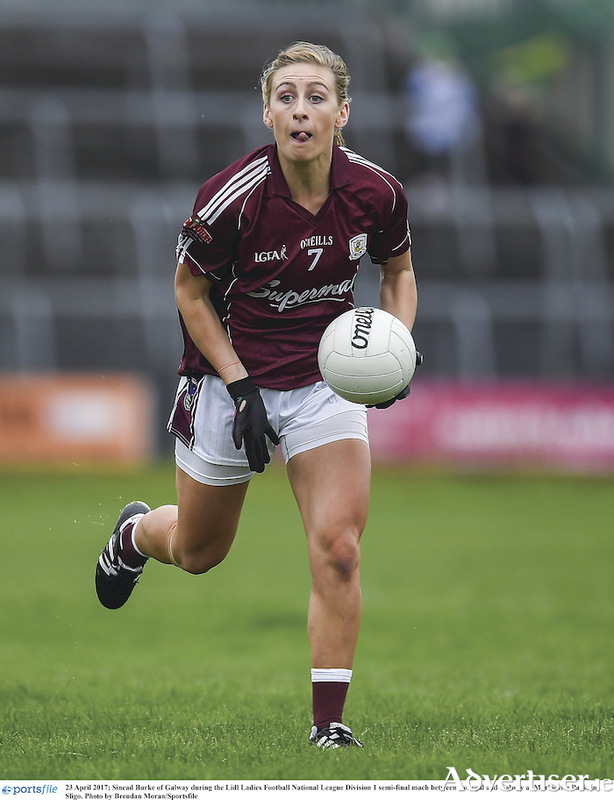 Unfortunately one of Galway's top players, Kilkerrin/Clonberne's Louise Ward, is still troubled by an ongoing pelvic injury that has to be managed on an ongoing basis, but Glennon is delighted some key players are back in action. "We need to be able to finish the last quarter with a really strong 15 on the field, and we must have players who can come off the bench and make a big impact," Glennon says. "From that point of view, it is great to see a few players coming back into full training after injury. Dublin have a panel of around 42 players and they have a huge playing population to pick from, which is why they are such a tough team to beat. Glennon says if Galway play to their ability, they can win. "We have improved from last season and we believe we have a core group of players who are as good as any players in the country. We are not where we want to be, just yet, nevertheless, we are moving in the right direction, and this weekend will be a good indicator of where we are at. "We will need to produce a far superior performance than we did against Westmeath the last day out, and we will need to tidy up aspects of our game if we are going to beat Dublin. "We defeated Dublin in the league earlier this year in Abbotstown, which was their first defeat since the All-Ireland final, and there was only a few points between us last year. So if we play to our potential, we are hopeful of a win or being there or thereabouts." If Galway are to win on Sunday and advance to a league final against either Cork or Mayo, they will need big performances from defenders Sarah Lynch, Nicola Ward, Sinead Burke, Olivia Divilly around the middle, and up front Aine McDonagh, Mairead Seoighe, Ailbhe Davoren, Roísin Leonard and team captain Tracey Leonard. The division one semi-final will be preceded by Armagh v Tipperary (1pm ) the division two semi-final, while Connacht rivals Mayo take on Cork in the other division one semi-final St Brendans Park, Birr, at 3pm.